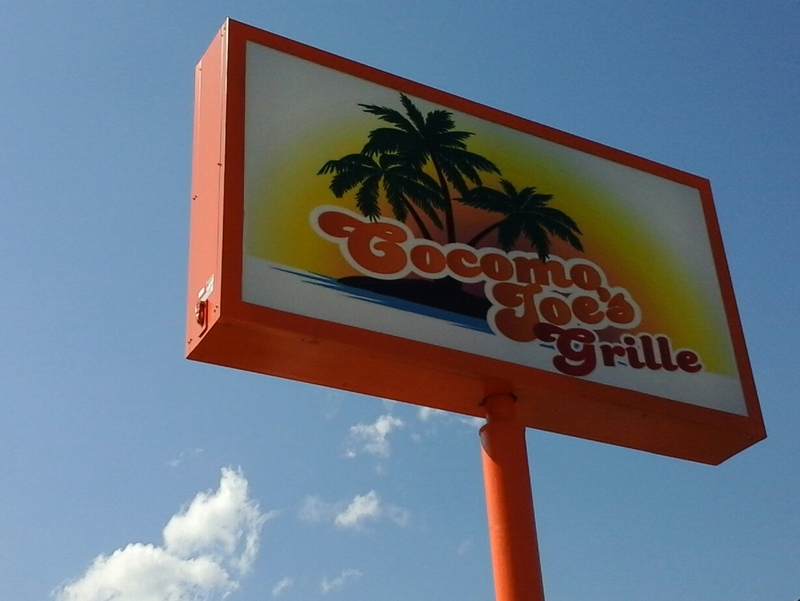 Cocomo Joe's Grille was open for about a year, located in the former Star Pizzeria building, which had also housed Papa John's Pizza and is now Four Seasons Family Restaurant. 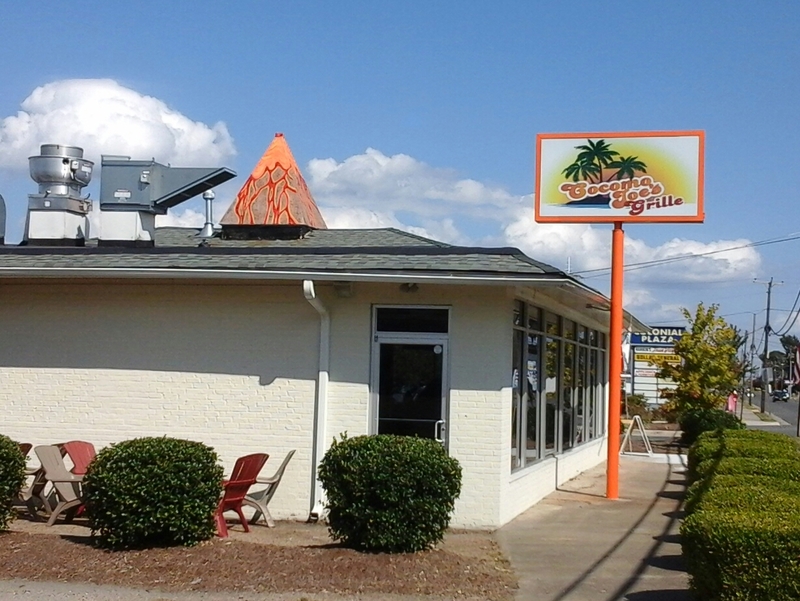 Located in Colonial Plaza is Cocomo Joes Grille, the newest restaurant in Colonial Beach! 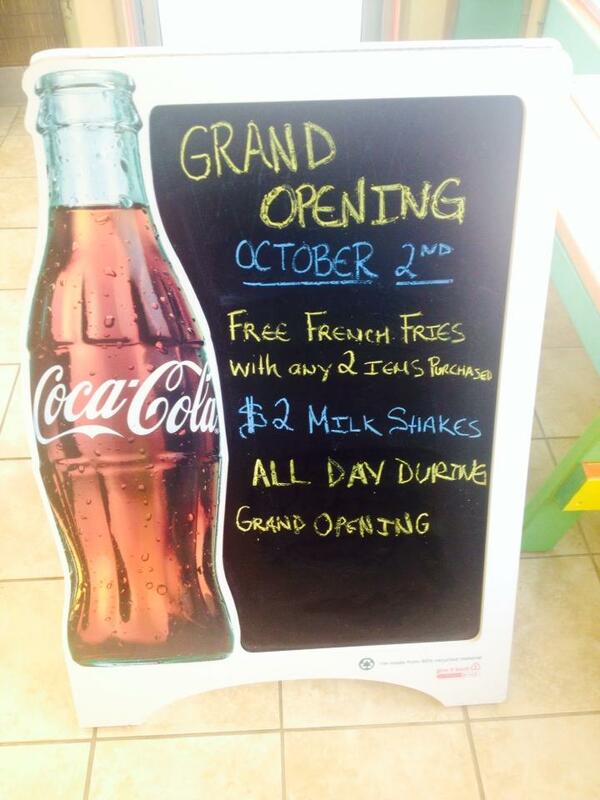 They have been open since September 8th and a Grand Opening is set for 10/2/14. 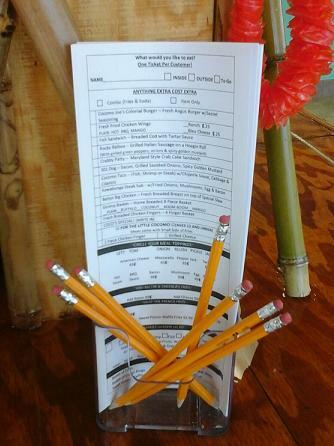 Here's how you place your order at this place. One ticket per customer! 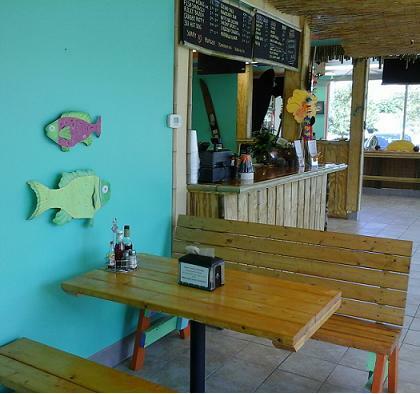 Choose from the Crabby Patty, the 301 Dog, the Cocomo Burger or Taco, the Kowabunga Sub, Betty's Big Chicken or one of their many other items. There's also a special of the day. They also offer theme days, like "Thirsty Thursday" and Tuesdays are 15% off days for Senior Citizens and members of the Military. 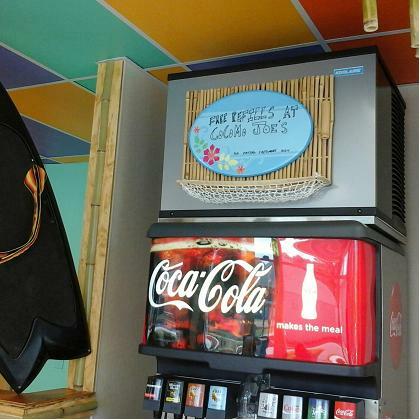 Once you've received your order, there are plenty of places to sit down and dig in to that great chow. Stop by soon! Look for the "volcano"